All books using the keywords: Feelingstone Gifts, LLC "Wire Wrapping Made Easy!" 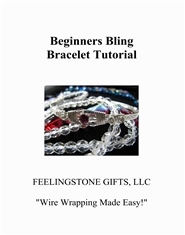 Beginners Bling Bracelet Tutorial FEELINGSTONE GIFTS, LLC "Wire Wrapping Made Easy!" 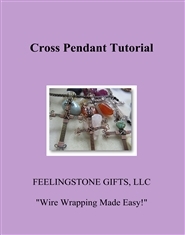 Cross Pendant Tutorial FEELINGSTONE GIFTS, LLC "Wire Wrapping Made Easy!" 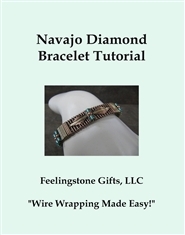 Navajo Diamond Bracelet Tutorial Feelingstone Gifts, LLC "Wire Wrapping Made Easy!" 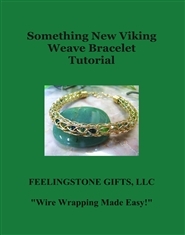 Something New Viking Weave Bracelet Tutorial FEELINGSTONE GIFTS, LLC "Wire Wrapping Made Easy!" 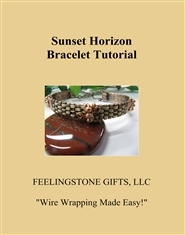 Sunset Horizon Bracelet Tutorial FEELINGSTONE GIFTS, LLC "Wire Wrapping Made Easy!"